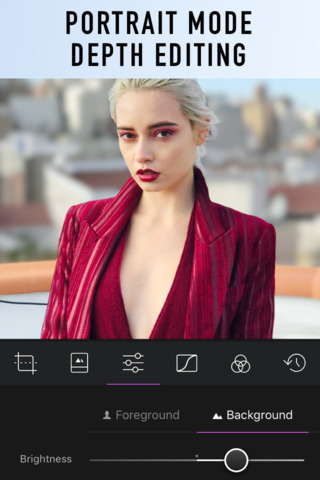 The Darkroom image editing application has been updated with Content-Aware Frames, a new premium package from DuoTone Filters and other improvements and bug fixes. Save yourself from the workflow of multiple applications and discover the most designed, powerful and integrated editing application for iOS. We jump fantasy and novelty and focus on what is important for photographers. 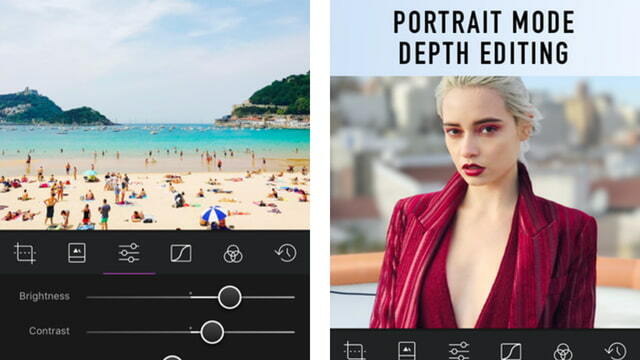 This update introduces a new dimension of creative expression for Darkroom: frames with secure content. To celebrate, we also launched a new premium filter package to complement frames: DuoTone Filters. We have also packaged this update with a lot of improvements and bug fixes that address many of our most reported problems. With frames you can extend or enhance a photo beyond its original limits. Our color palette * Content-Aware *, the first in the industry, will analyze your image and generate frames that combine perfectly with your photography. We also include curated palettes such as pastel colors, gray tones and bold colors. 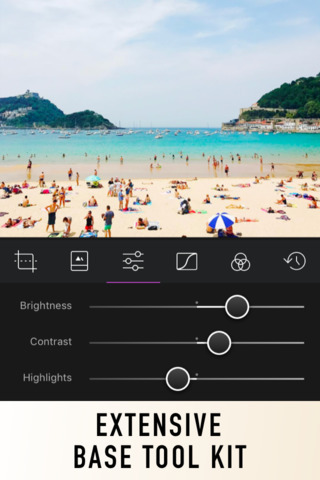 We also make it easier to show or share your photos with * Presets embedded in the box *, making sure you can share much more fun like Stories or Status. The new Duo Tone filters are a daring, colorful and playful alternative to black and white photos. And they are a beautifully graphic pairing for our new frame tool. The frames will perfectly match the mood of your photo and will really enhance and extend them. Photos are some of your most private data, and with the GPS location commonly integrated, they can contain a lot of information about your personal life. With an eye on privacy, Darkroom 3.6 adds a change of location to enable and disable location information embedded in the photos when exporting. That way, the location can be kept private on your phone for the captured photos, but it can be removed when it is shared with third-party platforms to avoid tracking. * Reliability of the Portrait Depth Tool was improved. * Several problems related to the export of photos were corrected. * We improve the way we store photos in cache, which solves a variety of problems. * We improve the way we upload photos to increase stability and performance. * Improved handling of photos not supported with iCloud in the library. 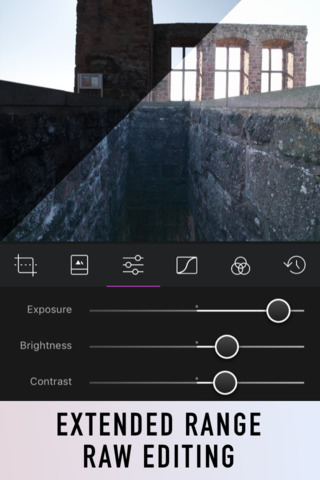 * Darkroom will now load and export more gracefully the photos previously edited by third-party applications. * Fixed a problem that caused the cropped view to insert the image too much. * Fixed a problem where you could accumulate brightness / contrast / reflections / shadows issues as you navigated the filters. * Switching performance was improved from the album view to the favorites list and the edited list. * We improve the general use of memory by fixing several smaller memory leaks. * Fixed a blockage caused by memory accumulation. * Fixed a blockage that could occur when restoring a photo that was exported a while ago. * Fixed a blockage that occurred when touching "Next" on the keyboard when editing copyright information in the settings. * Fixed an issue where a photo was discarded / zoomed in The moment a live photo was playing, it would not change the size of the live photo. * Fixed a problem that could cause our filter previews to be low resolution. * Fixed a problem that caused the thumbnails in the library to have low resolution. * A metadata configuration was added to disable the "edited in Darkroom" that is added to the description field when exporting a photo.